Reload Internet can snap and print your Italian Passport photos and Italian Visa Photos while you wait, with no appointment needed. We can even professionally photograph you and print your photos for your Italian ID or Italian Driving Licence and we charge £9.99 for 6 photos. If you are applying for an Italian passport, you should know that you must provide two identical color photos that meet the criteria of VFS Italy and the criteria for Italian Passport Photo specifications and our printing equipment in store is able to meet the Italian Embassy’s exacting needs. 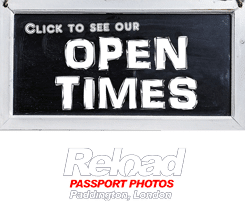 Watch our video below for more information on Italian passport photos, and to see how quickly we can produce yours! At Reload Internet, all Italian Passport photos we photograph and print will meet the criteria set by the Italian Embassy. Our Italian passport photos will have a size of 30 x 40mm and will always be taken with a clear frontal view of you (the applicant) and the photos will have a crisp clear white background. Italian passport photos requirements set by the Italian authorities are not different than the ones imposed by other EU countries, but, please bear in mind that photos must be taken less than 6 months ago so if you are planning to use older passport photos you have, please bear this fact in mind. Keep in mind that the photo for an Italian visa must be shot in the last six months and must be stapled or pasted directly on the application form. The Italian passport photos should be in color with a white background. The size of the head of the subject must be positioned in the center. Hats and head coverings are not allowed. Wearing such accessories due to religious beliefs is accepted, however, the head covering shouldn’t make any face feature unavailable. Subjects can’t wear sunglasses on the photos unless they have a special recommendation from a certified doctor. Due to the fact that these regulations are updated from time to time, it is highly recommended to check whether there are updates in a consulate or embassy – and the Staff in Reload Internet will always be up to date with the latest requirements. If you want to go to Italy for any reason, you will have to bring a passport unless you are a citizen of some of the following countries – the UK, the USA, Venezuela, Singapore, New Zealand, Australia, Japan, Costa Rica, Chile, Canada, Brazil, Argentina or Switzerland. So, if you are a citizen of some of these countries and you are visiting Italy as a tourist, you don’t need a visa or passport – all you need is a proper document of identification. When you are applying for an Italian visa, you will need to provide a few documents like valid passport with at least one completely blank page, an application form and proof that you have sufficient funds to stay in the country for a certain period of time. In addition to these documents, you will need one standard passport-size photo with the application for a visa. The Gross Domestic Product or GDP is considered to be one of the most important indicators of the strength of any national economy. According to this measurement, Italy is the 7th strongest economy in the world. In addition, Italy is among the ten biggest exporters of manufactured goods according to the Organization for Economic Cooperation and Development (OECD). Best-known for its old and unique culture, vivid traditions and religious sites and practice, Italy is a country visited by millions of tourists from every corner of our planet. Both explorers and tourists place Italy high on their wish-list. Nowadays, Italy is a republic and respected world heritage site blessed with beautiful nature and unique landscape.